Just as he was poised to reap the benefits of his punishing training as a neurosurgeon, Paul Kalanithi was diagnosed with terminal cancer. His story is a punch to the gut: a powerful reminder that life is something that happens moment to moment and that “the future” isn’t something we can plan out. 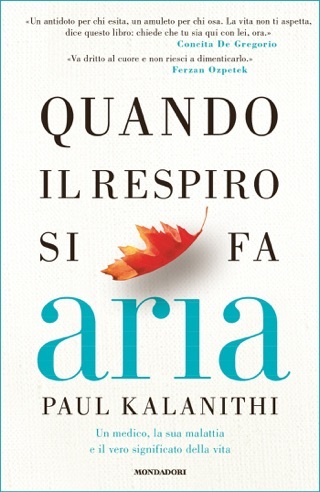 Beautifully written, thought-provoking, sob-inducing, When Breath Becomes Air is also a fascinating exploration of the relationship between doctor and patient and the heavy moral responsibilities of the medical professions. By the time we got to Lucy Kalanithi’s epilogue—a love letter to her dead husband and infant daughter—our heart was bursting with sadness but also gratitude. 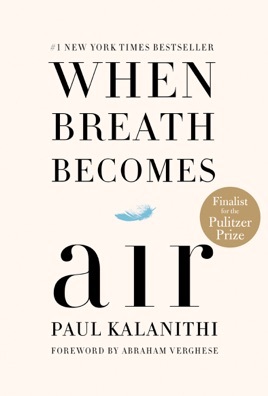 Author and physician Kalanithi had nearly completed his residency in neurosurgery at Stanford when he was diagnosed with Stage lV lung cancer at the age of 36. 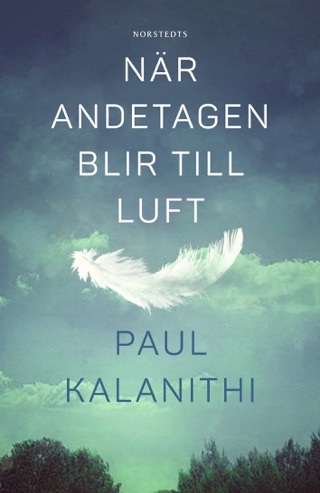 Despite the stubborn progression of his disease, Kalanithi was able to write, work, and delve into a number of profound issues before the end of his life, documented here (his wife provides the epilogue). As a youth in Arizona, Kalanithi was unsure whether he wanted to pursue medicine, as his father did, or if literature and writing were his calling. This inspiring memoir makes it clear that he excelled at both. Kalanithi shares his career struggles, bringing readers into his studies at Yale (including cadaver dissection), the relentless demands of neurosurgery, and the life-and-death decisions and medical puzzles that must be solved. After he begins cancer treatment, Kalanithi strives to define his dual role as physician and patient, and he weighs in on such topics as what makes life meaningful and how one determines what is most important when little time is left. 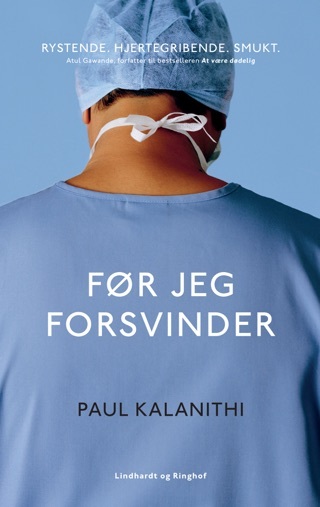 He also shares the challenges of colleagues: an oncologist who walks a tightrope between hope and honest reality; a fellow doctor who commits suicide after losing a patient; Kalanithi's wife, also a doctor, bearing witness to her husband's decline even as she gives birth to their child. This deeply moving memoir reveals how much can be achieved through service and gratitude when a life is courageously and resiliently lived. As a surgeon with a focus on cancer in community practice for 40 years, this book moved me to tears. I will recommend it to patients struggling to make choices, plans, and meaning to life. Thank you Dr Kalanithi and your wonderful family for this outstanding contribution to sorting out life. I started, and finished very soon, the book after spending some time myself in hospital. 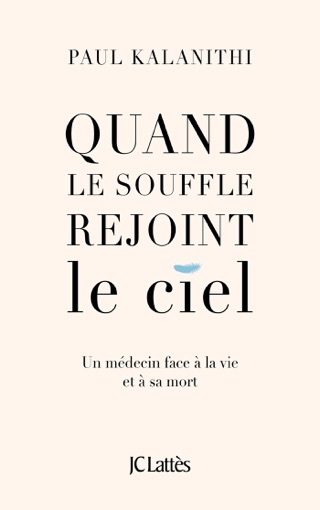 The book offers a calm and calming meditation of life by providing an account of death, narrated by the author Paul, a neurosurgeon and writer who is capable of operating with the finest precision both in brains and words. The prose in the book is poignant, emotions honest, and sentiments long-lasting. The author blended and balanced some right amounts of sorrow, wisdom, and humor. It is clear that many thoughts in the book had their origins in philosophy, but they were streamlined, by the authors’ able hands, into sentences that are clear, crisp, and comprehensible. However, the book requires emotional investments, which promise to return enormous benefits. Reading the book on my iPad, I became oblivious of progress bar that indicates both the completion of book, as well as the completion of the author’s life. It was therefore painful to find that the book stopped an abrupt stop. Paul announced his goal of writing this book only in the very end: to let the readers “walk in the shoes” of death, and realize it is the only finality. “Sooner or later”, he says. As a neurosurgeon, his goal was to help his patients to navigate through the vast uncertain area of death. This goal is equally achieved for his readers, in this book. 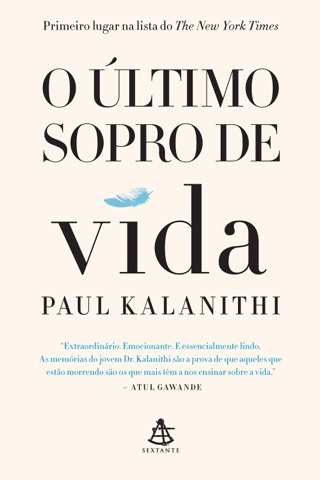 Such a great work full of love and calm and deep thinking of life and death. I enjoyed it. It touched me and enlightened me in one way.